Legendary creator Stan Lee brings you a new kind of hero. Half Human. Half Alien. All Weapon. Stan Lee, the great innovator of the entertainment industry, teams up with BOOM! Studios to deliver a brand new line of superhero comics. Stan is joined by critically acclaimed writer Paul Cornell (ACTION COMICS, DOCTOR WHO) and artist Javier Pina (SUPERMAN, BATMAN) for a modern take on classic superhero storytelling. When an alien parasite falls to Earth, wheelchair-bound war veteran Stewart Travers becomes infected, and goes through super-human changes that no mortal could imagine. 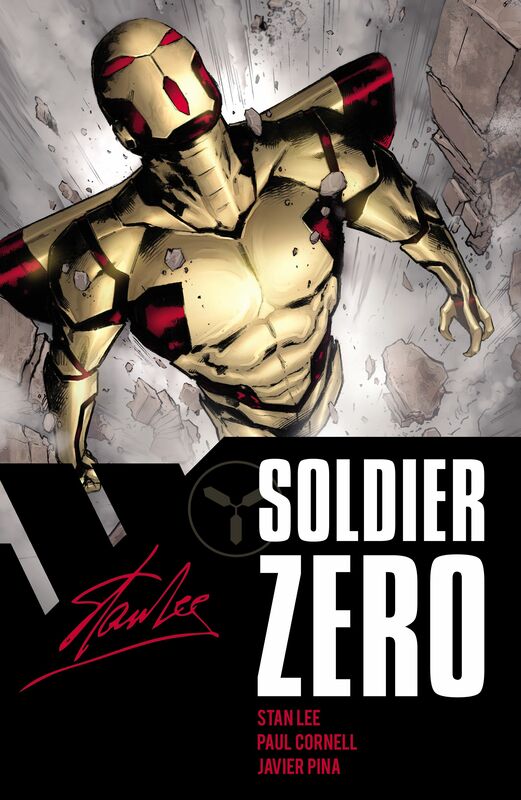 Forced into a galactic war that’s chosen Earth as the battlefield, Stewart defends the front line as SOLIDER ZERO. Half Human. Half Alien. All Weapon.